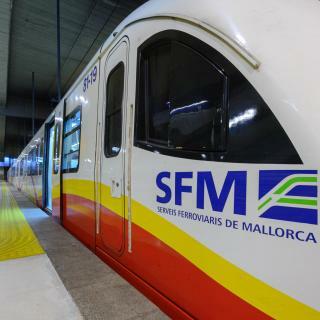 Looking for deals in Palma de Mallorca? Hotel Bosch Boutique is located in Palma de Mallorca and features a terrace. This 4-star hotel offers ticket service, a tour desk and free WiFi. Room size, view, location, cafe, shopping nearby, restaurants nearby. Located in the center of Palma de Mallorca, Hotel Gloria de Sant Jaume is a 2-minute walk from Paseo del Borne. We stayed for my girlfriend's birthday. The staff went above and beyond to make her feel special. When we came back from a late dinner, they had a bottle of champagne waiting for us. She had spilled something on her favorite sweater and they took care of the dry cleaning in no time. We also loved the location - you could just walk out the door and be in the heart of Palma. ICON Rosetó by Petit Palace is a boutique hotel set in Palma de Mallorca old town. Guests can enjoy a city view from the roof top small pool and solarium. Great staff, very friendly and helpful. Perfect location in the center of Palma. Rooms very clean. I really like the free water provided was in a glass bottle from local source and filtered. Plastic bottle water from far away places is a pox on our environment. I love how they deal with it. Set in Palma de Mallorca's Old Town, 0.3 mi from Passeig del Born, Summum Prime Boutique Hotel features a sun terrace with a small pool and a spa center. Location excellent. Staff beyond amazing. They make sure you have the best experience. All of their recommendations for places to go and restaurants were beyond expectation. The hotel is beautiful. Everything in town is at walking distance. I would recommend to rent a car to get to know the island and the amazing views it has to offer. The staff will park your car and bring it to you whenever you need it. Located in Palma de Mallorca, 0.6 mi from Palma Port, Es Princep features a rooftop terrace, an outdoor pool and spa center. There is free WiFi. Certain rooms have a seating area for your convenience.... Staff was very friendly and polite. Hotel was beautiful and the bed was very comfortable. The indoor pool was fantastic. Offering an outdoor and indoor pool, Boutique Hotel Posada Terra Santa is in Palma de Mallorca's Old Town. In a 16th-century manor, this hotel features a spa and health club. Warm service makes us feel like home. The restaurant is awesome! Amazing food and service. Located next to Palma’s Parque del Mar and the old city walls, Boutique Hotel Calatrava features a free spa and stylish rooms. I’m pretty picky about hotels but this place exceeded exoectations at every step. This stylish hotel is in Palma’s Portixol Harbour, just 320 yards from Portixol Beach. It features an outdoor pool and elegant, air-conditioned rooms with a private balcony and sea views. Yes! We absolutely LOVED LOVED LOVED this place. The boutique hotel Palau Sa Font is a beautifully renovated 16th-century palace in the historic center of Palma, near the cathedral and the beach. We had a great 4 nights! Staff are so friendly and helpful. This central boutique hotel is 328 feet from Palma de Mallorca's Plaza de España and Sóller Train Station. Rooms come equipped with free internet, rainfall showers and Smart TV with satellite... The hotel has a very good location in the city center. The staff is very friendly and kind. Ideally set in the Old Town of Palma de Mallorca, BRICK PALMA - Turismo de Interior has free WiFi and a terrace. Among the various facilities of this property are a shared lounge and a bar. Great Hostel! Rooms are enormous and super confortable! Everything is super clean. This stylish and luxurious hotel is located in central Palma’s charming Old Town, just 4 minutes’ walk from the Cathedral. Perfect location, fun hotel. Great amenities and very friendly , helpful staff. Stunning views of Palma Harbor can be enjoyed from the small pool on the third floor of Hotel Costa Azul. Free Wi-Fi, LED satellite TV and fridge are included in the bright, air-conditioned rooms. The staff at the front desk were always happy to help with any question/issue we had. Hotel de Interior Dalt Murada is a restored manor house in Palma de Mallorca’s Gothic Quarter. The hotel used to be a very old rich town house which had been beautifully renovated. Marivent is 2625 feet from Cala Mayor Beach, opposite Marivent Palace and 5 minutes’ walk from the Joan Miró Foundation. It has a seasonal outdoor pool and free Wi-Fi. The lovely scent in the whole complex. The staff's service and attention. Innside by Meliá Palma Bosque is an urban, design hotel located 5 minutes’ walk from Palma’s seafront promenade and 20 minutes' walk from Palma Cathedral. Great friendly staff, hotel is very modern and facilities pristine! A 10-minute walk from Palma Port, Casa Delmonte - Turismo de Interior is located in Palma de Mallorca and has free bikes and free WiFi. the style of facilities and furniture. the kindness and the attention of owners. Located in Palma de Mallorca, a 15-minute walk from Palma Port, Protur Naisa Palma Hotel provides accommodations with a seasonal outdoor swimming pool, private parking and a fitness center. Beds are super comfy with a generous amount of pillows! The 5-star Sant Francesc Hotel Singular is located in a 19th-century manor house in the beautiful Plaza de Sant Francesc. The services was immaculate and they look after our every needs. Ramón Llull is located in Palma de Mallorca old town. Offering free WiFi, the air-conditioned apartments are a 3-minute walk from the Cathedral. Fantastic location - in the centre of the old town but in a very quiet street. Hotel Son Vida offers spectacular views of Palma Bay and is set in a 13th-century castle. It features a free spa, 4 swimming pools and luxurious accommodations with free Wi-Fi. The property had a view that brought tears to my eyes. It was magnificent. Which hotels in Palma de Mallorca are good for families? Many families visiting Palma de Mallorca loved staying at Casa Delmonte - Turismo de Interior, Summum Prime Boutique Hotel – LVX Preferred Hotels & Resorts, and Boutique Hotel Posada Terra Santa. What are the best hotels in Palma de Mallorca near Palma de Mallorca Airport? Travelers who stayed in Palma de Mallorca near Palma de Mallorca Airport (PMI) have said good things about Hotel Roc Leo, Hotel Amic Can Pastilla, and Hotel Amic Gala. What are the best hotels in Palma de Mallorca near Cala Major Beach? Some of the best hotels in Palma de Mallorca near Cala Major Beach include Nixe Palace, Eurostars Marivent and Riu Palace Bonanza Playa. How much does it cost to stay in a hotel in Palma de Mallorca? On average, 3-star hotels in Palma de Mallorca cost $81 per night, and 4-star hotels in Palma de Mallorca are $167 per night. If you're looking for something really special, a 5-star hotel in Palma de Mallorca can be found for $286 per night, on average (based on Booking.com prices). Which hotels are the best ones to stay at in Palma de Mallorca? Hotel Gloria de Sant Jaume, Hotel Cort, and Es Princep are some of the popular hotels in Palma de Mallorca. 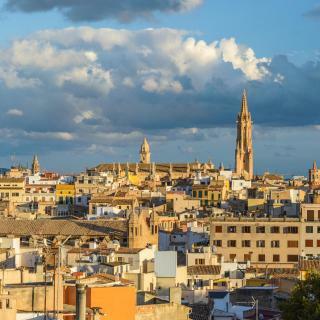 Which neighborhood is the best one to stay at in Palma de Mallorca? 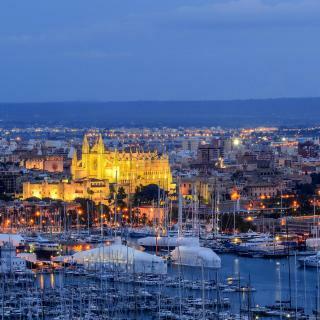 Old Town, Puerto Maritimo, and Santa Catalina are popular with other travelers visiting Palma de Mallorca. How much is a hotel in Palma de Mallorca for this weekend? The average price per night for a 3-star hotel in Palma de Mallorca this weekend is $277 or, for a 4-star hotel, $304. Looking for something even fancier? 5-star hotels in Palma de Mallorca for this weekend cost around $535 per night, on average (based on Booking.com prices). Which hotels in Palma de Mallorca are good for couples? These hotels in Palma de Mallorca are highly rated by couples: Hotel Gloria de Sant Jaume, Hotel Cort, and Es Princep. Which hotels in Palma de Mallorca offer an especially good breakfast? For hotels in Palma de Mallorca that serve highly-rated breakfasts, try Portixol Hotel & Restaurant, Boutique Hotel Posada Terra Santa, and Hotel Gloria de Sant Jaume. How much is a hotel in Palma de Mallorca for tonight? On average, it costs $91 per night to book a 3-star hotel in Palma de Mallorca for tonight. You'll pay around $154 if you choose to stay in a 4-star hotel tonight, while a 5-star hotel in Palma de Mallorca will cost around $265, on average (based on Booking.com prices). Which hotels in Palma de Mallorca have nice views? 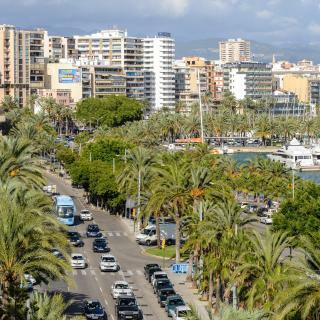 Portixol Hotel & Restaurant, Boutique Hotel Calatrava, and Hotel Cort got great room view-related reviews from travelers in Palma de Mallorca. 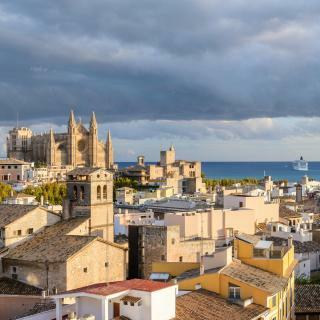 Palma de Majorca is the capital city of the Balearic Islands in Spain, with a great mix of fascinating history, marvelous architecture and vibrant nightlife. Can Joan de Saigo has amazing hot chocolate with whipped cream. 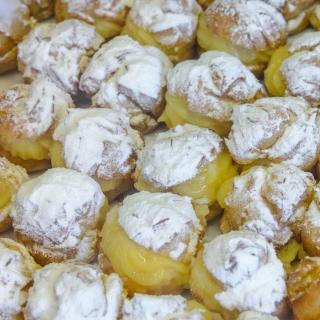 The custard pastry was crisp and delicious. If you’re looking for paella, Calixto is the place to go. Had paella at 5 different places, and Calixto stood out for its rich flavour and slightly crispy rice bits at the bottom of the pan. Plenty of seafood if you get the seafood/ mixed option. Asador Bolixe is another great place. Their 3 course lunch menu is well worth the money. A lovely city and one we will be back to visit again. A lovely city and one we will be back to visit again. We walked many kms and enjoyed them all. Too cool to swim, but we were at the beach. Probably come again in the off season as we have heard a lot about summer time crowds. Be sure to get the castle (for the views) and the to palace and if you have the time to cruise around the coastline. Die Insel ist eine der Schönsten im Mittelmeer. Die Insel ist eine der Schönsten im Mittelmeer. Palma ist eine sehr schöne Stadt mit herlichen kleinen Gässchen. Hier findet man tausende Lädchen und kulinarische Leckerbissen. Die Insel fasziniert durch ihre Vielfältigkeit. Gebirge, super Strände, Nachtleben und erholsame Stille, hier findet jeder was um den Urlaub zu geniesen. Palma is an interesting city and small enough to be manageable when walking. It has many attractions and an excellent public transport system. Probably best to avoid the hotter months if possible. We found the open top tourist bus excellent. We liked the cathedral (Seu) and the Castell de Bellver. We liked the cathedral (Seu) and the Castell de Bellver. In the cathedral, the light play of the sunlight through the big rose window in the morning (colouring the columns and chapels inside the church) is a wonderful and unique sight. The Castell de Bellver has an unusual circular shape and due to its location southwest of Palma, the views are excellent in late afternoon before sunset. The best views are from the castle's roof, but the views from the road in front of the castle are not bad either. In winter, many restaurants seem to close down for the season, especially near the beaches. Driving around Palma de Mallorca isn't a problem (as long as you avoid the old downtown lanes), but street parking is terrible; many parked cars missed one or both mirrors, had dents or scratches etc. Not to mention that double parking seems so common that there are special "VAP" lanes where the police actually checks on such parking behaviour (elsewhere apparently you get away with it?) For the downtown area the large paid parking garage at Parc de la Mar (near the cathedral, on the waterfront) is useful. Near the marina, there are free parking opportunities in the middle between the lanes in either direction. The location was perfect! We had such a wonderful stay in this boutique hotel! As myself working in a 5 star hotel I know how hotels work and what to expect. The room was in a vintage style with old paintings on the walls and a royal bed. We also enjoyed the breakfast in the garden which was absolutely lovley. Even thought you are in the middle of the city center it was really quiet and our room even had window view of the old Cathedral. Overall I really would recommend this place if you wanna enjoy a beautiful city for the right price! Stylist Hotel Born lived up to all the positive comments from other guests, it was perfectly placed to suit our weeks site-seeing holiday in Palma Majorca. Very helpful and considerate staff. A lovely comfortable ensuite bedroom overlooking the courtyard, superb breakfast that lasted us all day. The hotel is placed two minutes walk away from tapas bars, restaurants and excellent shopping. 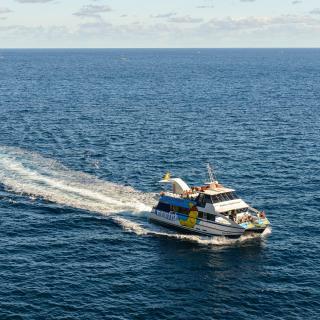 Best of all, local busses connect with all the main routes to visit the many different historical attractions and other parts of Majorca. Great place to stay in Majorca! Well located near shopping street. Very friendly, knowledgeable and helpful hotel front desk team, with first class attention to detail giving us an awesome impression of the hotel. Nakar Hotel has very clean, comfortable and well equipped rooms and also a stylish restaurant where we got excellent service (we had breakfast and dinner). Food was great - beyond good and great value for money. We hope to be back for a longer visit really soon. This is got to be one of the best hotels I’ve ever stayed in. A truly stunning property in a nice quiet location right in the heart of the city. The staff were very friendly, well-mannered, charming, and very professional. The suites are very spacious, clean, and contain everything that you need. The spa added a nice touch to the experience and is well worth your time. Finally, this hotel is worth every penny- I wish I was there longer! Renovated palacio at the very heart of the historic city centre, entirely rebuilt internally but in line with the belle-epoque style of the ancient building. Unprecedented feeling of being welcome as a guest. We loved breakfast because it was exactly NOT a buffet but presented and served personally. Brilliant hotel bar with view of beautiful Plaça de Cort. The hotel is next to the main and intercity bus station and near the city center, such that we had a good starting point to see the main spots near the city. The hotel staff was very nice and the facilities were as expected from a good hotel in Mallorca. The breakfast buffet was pretty good and is open from 7:00 to 11:00, that I personally can recommend. The room was renovated to a high standard making the most of the original features of an Old Town style house, but with a modern boutique feel. 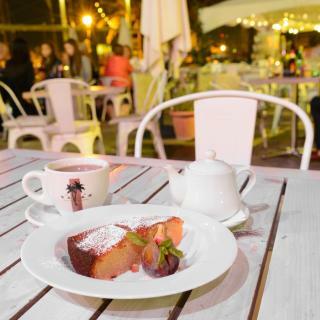 The staff were incredibly helpful and friendly and the roof terrace was stunning! Great place to watch the sunset. View from the room was beautiful, overlooking a church garden. The property had a view that brought tears to my eyes. It was magnificent. Making me almost not want to leave the hotel. The hospitality within this hotel was like no other ... I will forever compare hotels to my satisfaction of this on. I will be back to Mallorca and I will stay here. We enjoyed the location since the hotel is in a quiet residential area of Palma. It is removed from the touristy part of the city but you can quickly walk to the water front or downtown. Good access to bus service. Excellent breakfast with plenty of variety. Helpful staff. The location is amazing and the staff was even better. Anna, Olga and Joseph made us feel at home and were quick to give any suggestions and answer any questions. I would highly recommend this hotel for anyone staying on Mallorca. Trust me, you won’t be disappointed! It is so lovely place to stay and spend vacation in Palma, stuff gorgeous, breakfast awesome, interior amazing! Love the concept and vision of the hotel! Will recommend all of my friends and will come back! Stylish boutique hotel with only 19 rooms and small plunge pool in a quiet street in the heart of the Old Town. Fantastic breakfast and polite friendly staff. Honestly this is the best experience I’ve ever had in a hotel. Lovely staff, beautiful facilities. Couldn’t be more satisfied. The hotel is in good location, newly renovated, very nice entrance hall, good breakfast. The staff at the front desk were always happy to help with any question/issue we had. The view of the harbor (worth the extra money!) was well worth it! Loved every minutue.